Product prices and availability are accurate as of 2019-04-21 21:35:59 EDT and are subject to change. Any price and availability information displayed on http://www.amazon.com/ at the time of purchase will apply to the purchase of this product. 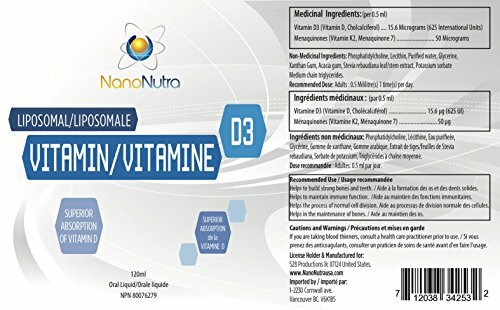 NanoNutra's vitamin D3 complex is optimally blended to achieve the best possible results. UVB rays, and our vitamin K2 is in the form of MK7- the most bioavailable form of the nutrient. peace of mind every time you supplement. No GMOs. No soy. No toxins. Enjoy product manufactured to the highest standards. without getting the burn. Click 'Add to Cart' now!
? 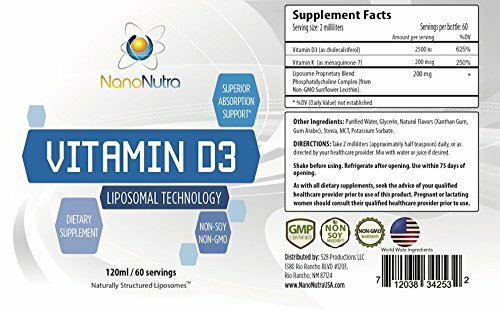 POTENT VITAMIN D3 BLEND: NanoNutra's Liposomal D3 features an optimal blend of 2500ui of vit D3 and 200mcg of vitamin K2 in every serving, creating a well-balanced vitamin D supplement. We've used superior forms of both vitamins to ensure you reap maximum benefits from each dose. ? 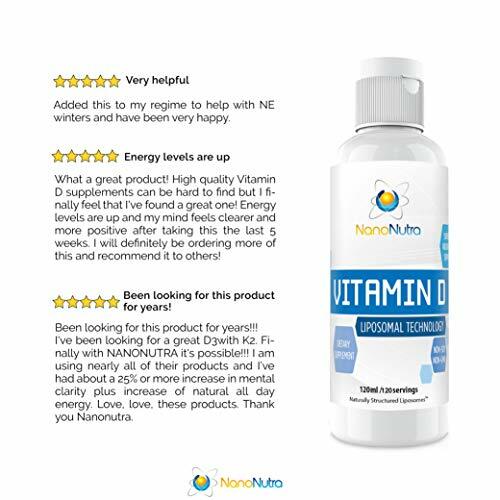 SUPERIOR ABSORPTION RATE: NanoNutra's liposomal liquid vitamin D3 is made using minute-sized particles that are quickly absorbed, with the naturally structured liposomes protecting the nutrients from degradation by stomach acids. Our liposomal technology ensures you get more of d vitamins with every serving.* ? ENJOY ALL THE BENEFITS: While vitamin D3 supports healthy absorption of calcium, vitamin K2 directs the calcium to the bones, preventing it from depositing on the arteries and joints. This vitamin D3 and K2 combination provides bone support, promotes heart health, and helps boost immunity.* ? Pure & Potent: Our vegetarian-friendly liposomal vitamin D supplement contains no soy or GMOs, and is naturally flavored making it the easiest-to-take vitamin d for kids and adults. 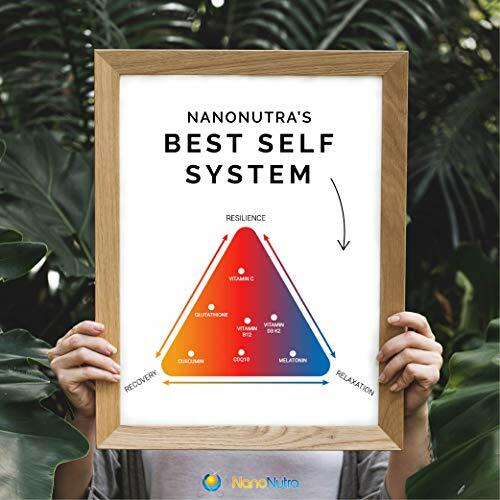 NanoNutra is your best bet when looking to steer away from harmful additives. ? UTMOST QUALITY STANDARDS: All of our products are made in a GMP-certified facility that complies to the same standards as pharmaceutical companies. Every ingredient is tested by a recognized 3rd party lab to ensure our bone health supplements are of absolute quality. Click 'Add to Cart' now!